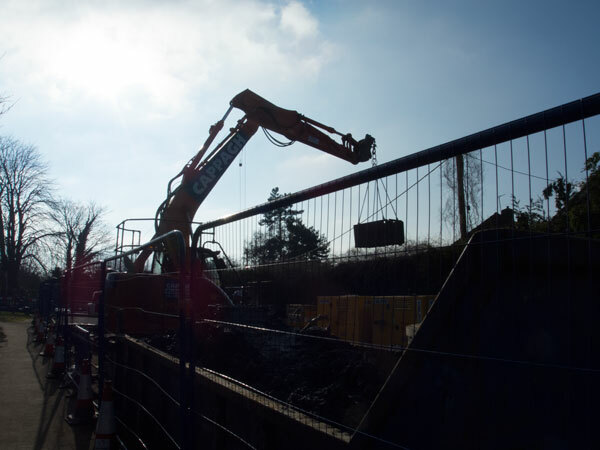 Excavations underway in Church Road on 9th February 2015 to undertake major repairs to the sewage system in Radley. 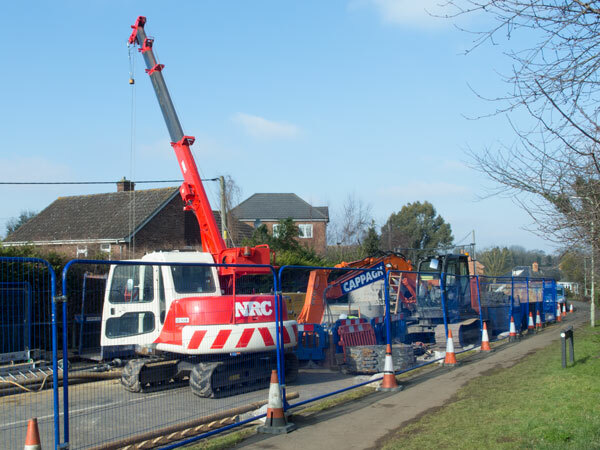 At this time a the workmen have sunk a shaft about 8 metres below road level and are undertaking the difficult and unpleasant task of tunnelling horizontally along the line of the sewer into the surrounding areas on either side of Church Road. Many tons of clay and debris were removed from the course of the collapsed sewer in the process. First cut, 26 Jan 2015. Big things have small beginnings. 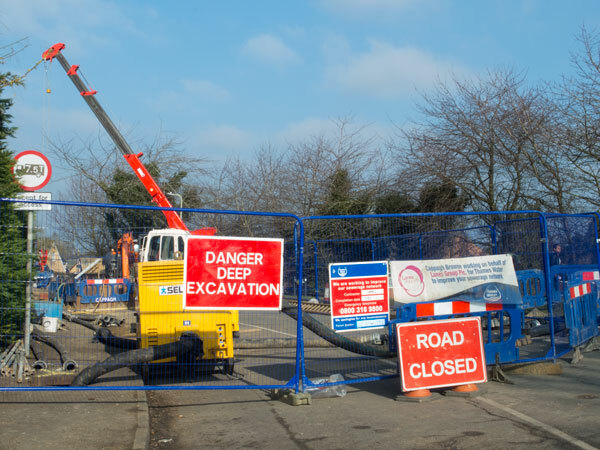 This is the start of the major excavations to investigate and repair the non-functioning sewer beneath this part of Radley that were to cause such such disruption in the area in the months to come. Road Closed. 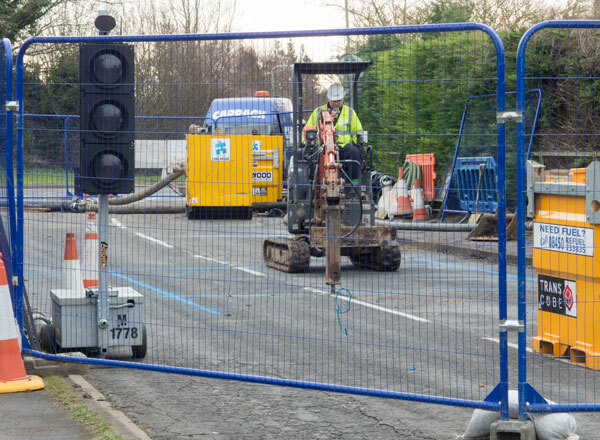 A view of the road works on 9th February. Another view of the works on 9th February. 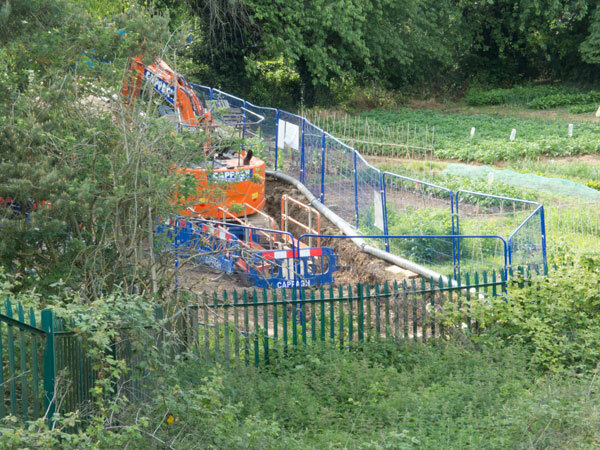 In May, Church Road was partially reopened and work moved to the neighbouring allotments. This picture shows the workings in the allotments on 28 May 2015.